Although the navigation of Magento 2 has been dramatically enhanced in comparison with 1.X, there is still room for improvement. Therefore, developers are working on Magento 2 layered navigation extensions, and today we are going to compare three popular solutions: Amasty Improved Layered Navigation, Aheadworks Layered Navigation, and MConnect AJAX Layered Navigation. All three modules provide some top-notch features that substantially improve the default functionality, so let’s dive deep into their comparison looking for all pros and cons. UPD: Since Aheadworks Layered Navigation has been recently updated, some missing features are now available in the extension. The default Magento 2 navigation is impossible without reloads which often becomes extremely annoying. 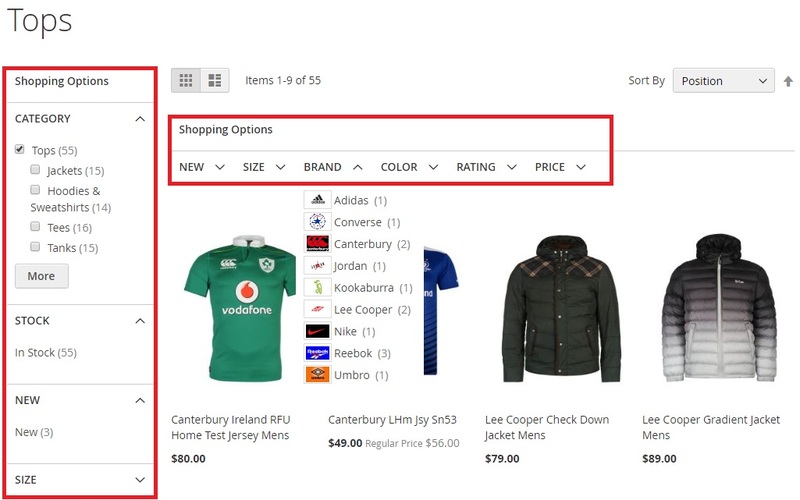 Imagine that a customer is going to narrow down a selection of products you offer, but each time he or she applies a new attribute, the page is reloaded. That becomes irritating, and the possibility you will lose a client is rising with each new applied filter. Luckily, you can solve this problem by installing Amasty Improved Layered Navigation, Aheadworks Layered Navigation or M-Connect AJAX Layered Navigation. 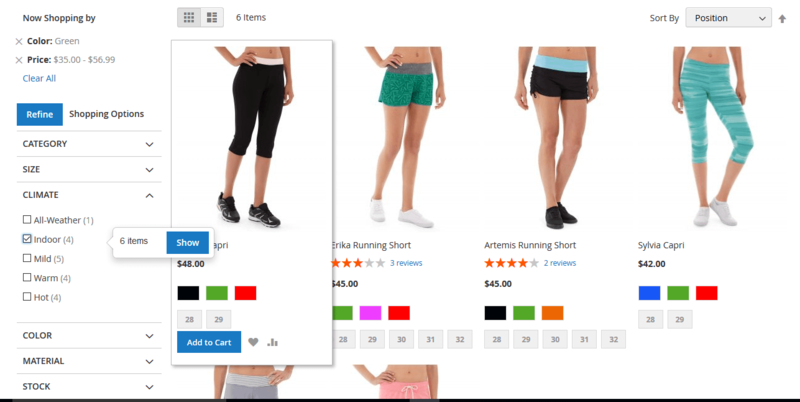 All these Magento 2 layered navigation extensions are based on the AJAX technology, so you will easily eliminate page reloads with their help. Additionally, the M-Connect extension provides two types of filters – automatic and manual. The Auto type of filter automatically shows the result after selecting options of the filters. With this feature, the customers will be allowed to choose options from filters one by one. On the other hand, the Manual filter type offers the selection of the number of options. Once the options are selected, one pop-up will appear to show the number of items matching the selected options with a “Show” button. 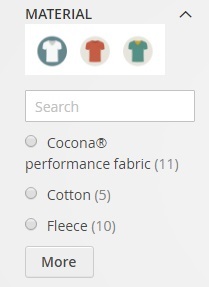 Another drawback of the default Magento 2 navigation is the inability to select multiple values of the same filter. This also diverts customers from making a purchase on your ecommerce website. All three Magento 2 layered navigation modules revamp the default functionality providing the attribute multiselect functionality. Displaying the number of products related to a particular attribute is also a good idea. Amasty and Aheadworks implemented this feature in the same way. 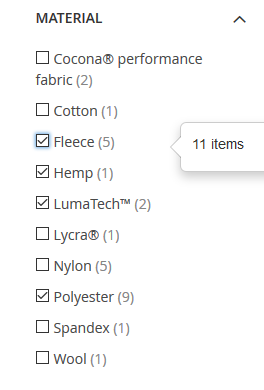 An automatic pop-over appears after a filter value is chosen showing how many items match current selection. At the same time, the pop-over contains the “Show” button that enables you to apply the selection. 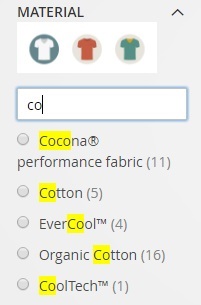 In case of the M-Connect extension, when the “Automatic” filter type is selected, the item count is shown for each attribute in adjacent brackets. Whereas, when “Manual” filter type is selected, in addition to the adjacent bracket count, a pop-up button with the title “Show” and a total number of results in brackets appear. 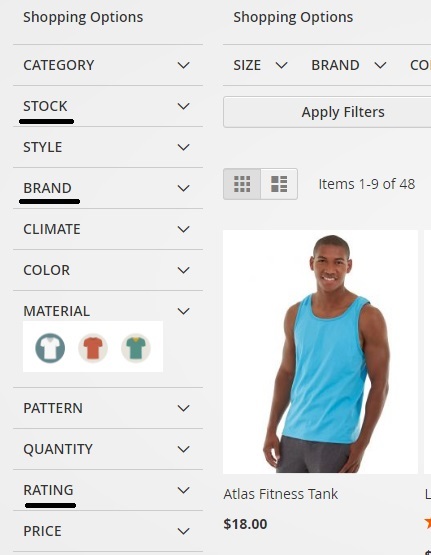 Both Magento 2 layered navigation modules offer new filter options. With Aheadworks, you get three new filters: New, Discount, and In Stock. 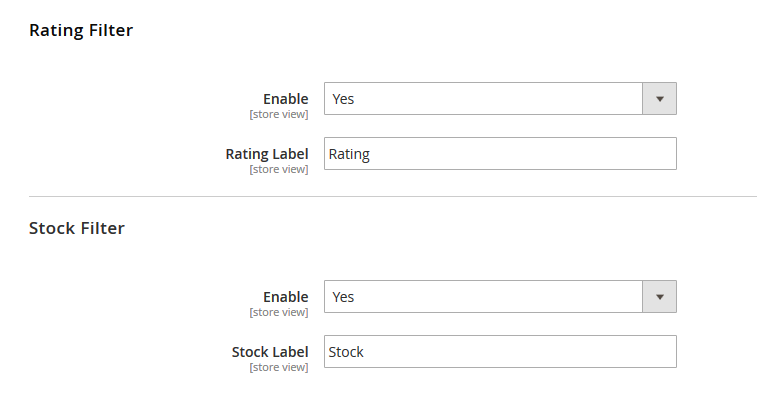 As for Amasty’s Magento 2 module, it also offers the Stock filter. Besides, you get Rating filtering and a rich Shop by Brand functionality. UPD (08.12.16): Amasty added the “New” and “On sale” filters. UPD (04.04.17): You can get the Shop by Brand functionality with the appropriate FREE Magento 2 extension by Aheadworks. With M-Connect, you can have Rating and Stock filters. Apart from this, you can add any custom attribute to a filter. In addition to vertical navigation, Amasty offers a horizontal block with filters. UPD (12.03.18): Aheadworks adds horizontal filters bar to the category pages. As for Aheadworks, the company’s extension adds a new block of filters that is optimized for mobile devices. 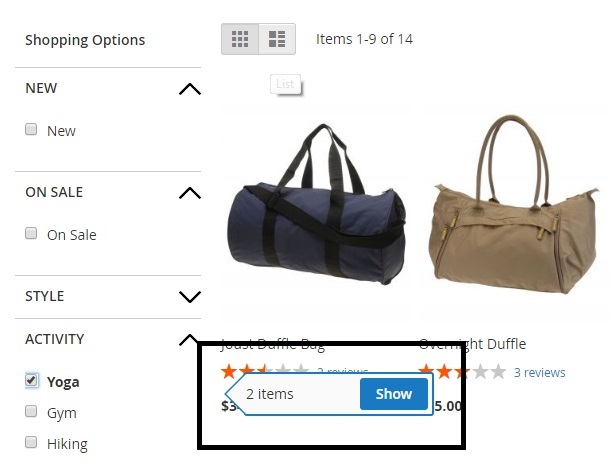 Amasty also allows displaying “Shop By” button on mobile devices: once you click it, the filters are opened. M-Connect’s extension also provides horizontal navigation in addition to the vertical navigation. There are two filter locations available to choose from in the configuration: Sidebar and Toolbar. The Sidebar is the vertical position; Toolbar is the horizontal position. While both Amasty and Aheadworks Magento 2 layered navigation extensions offer from-to widgets, Amasty provides the ability to use sliders for all numerical attributes. 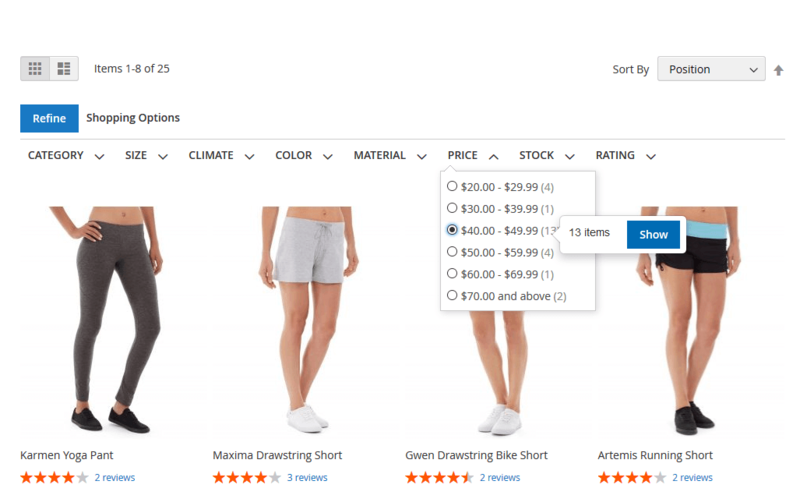 This tiny improvement makes catalog browsing much more comfortable and store visitors more satisfied with shopping experience on your web store. 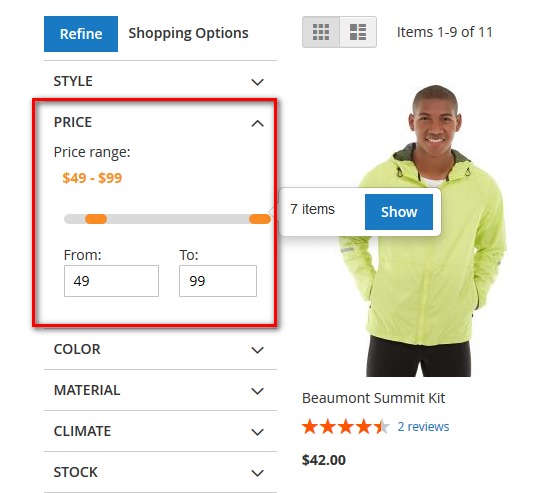 UPD (04.04.17): The latest version of Aheadworks Layered Navigation includes price slider! Just as the other two extension providers, M-Connect also offers both “From-To” and “Slider” feature for the price filter. 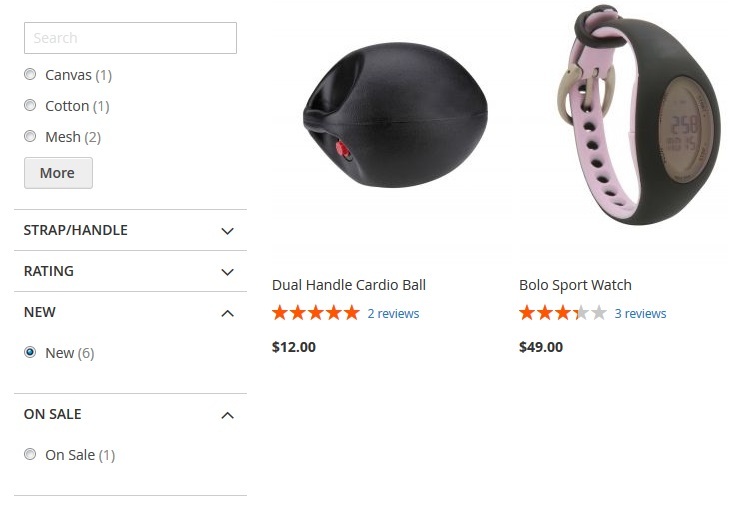 You simply need to choose “Yes” for “Enable Price Slider” in the backend to accentuate the shopping experience for your shoppers. 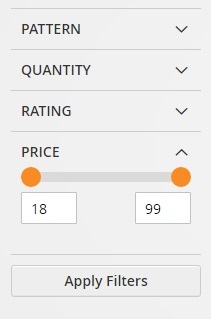 If you select “No”, then it will show different price range to select from. In case of Amasty, this is the name of the section that contains all applied filter values. You can quickly clear any selected options here. As for Aheadworks, you should remove all values directly in each filter section. The M-Connect extension also has “Now Shopping By” block which lists all the filters applied. Customers may want to remove some of the filters or “Clear All” and do a fresh search. This is possible under this block. Customer will not have to go to each filter to remove it. 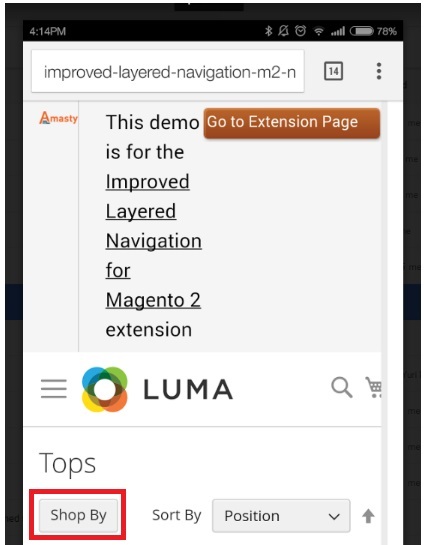 The Amasty Magento 2 layered navigation extension also offers a unique opportunity to add a search box to any filter. Thus, you provide customers with the ability to find necessary products inside a specific filter in a couple of seconds. Another feature that is available only with the Improved Layered Navigation by Amasty is the ability to determine the number of filter options that are displayed by default. 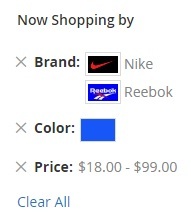 To see all options, a customer should click the “More” button. The feature is especially useful if there are many attribute values of a product, but some of them are not used quite often. 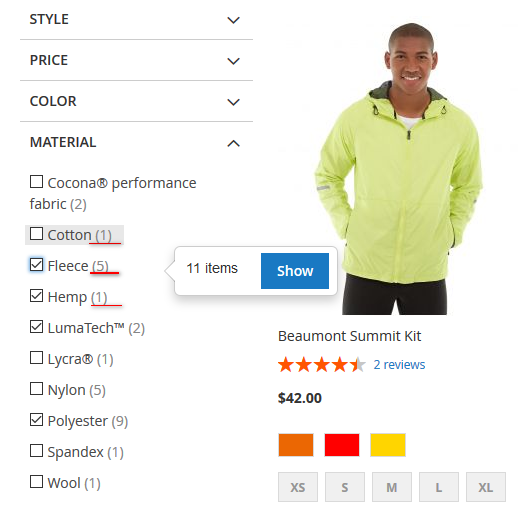 UPD (04.04.17): Aheadworks Magento 2 layered navigation module also provides this feature now! We’ve just figured out that the “shop by brand” functionality became available for Aheadworks, but let’s concentrate on the features offered by the Amasty’s Magento 2 layered navigation plugin. First of all, the extension allows filtering products by brand in the navigation block. Besides, it lets you create brand pages and customize them with texts and images. Next, it is possible to add custom blocks there. Moreover, all brands can be displayed in alphabetical order, and a brand slider can be added to any CMS page or block. Category, product, and brand pages with short SEO-friendly URLs (website.eu/url-key/fender). Filtered pages with SEO-friendly URLs (‘category/spring.html’ instead of ‘category.html?season=121’). Custom metadata and texts for pages with specified filter options. As for Aheadworks Layered Navigation, it also brings some SEO enhancements. The module enables you to change URLs look; disable indexation of catalog search pages; use meta title and description for search results pages; apply 301 Redirect; rewrite meta robots to avoid duplication of content. In case of the Amasty Magento 2 Improved Layered Navigation extension, you can set dependent filters. It means that some filters are displayed only when a specific attribute is selected. This feature helps to make the filter block neat, but it still provides the ability to narrow down the selection as much as possible. Another important feature offered by both Amasty and Aheadworks is related to category restrictions. To make your navigation even more clear, the extension allows you to display certain filters only with specified categories. 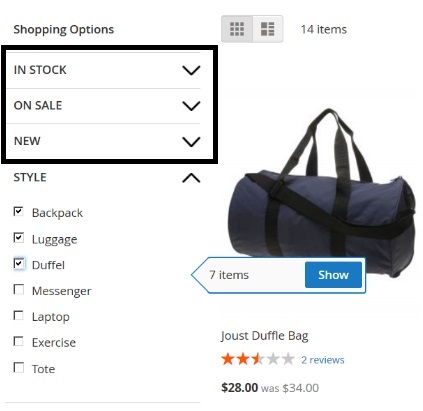 Besides, the Magento 2 layered navigation extension by Amasty offers the ability to create tooltips for each filter. Thus, you can inform your customers about specific parameters. It is possible to add both custom filter images and text information. The price slider functionality of the M-Connect extension offers customers to choose the price range either by the slider bar or manually entering the price range. In the slider bar, the minimum and maximum amount are automatically taken by the system based on the products with the lowest and highest cost. However, in the ‘From-To’ widget customers enter the amount as per their need. In case a customer has entered a wrong amount, i.e., amount less than the minimum or higher than the maximum, the system will show an error message mentioning that the specified price is out of range. The admin can easily define or manage the error message from the admin panel. M-Connect provides this feature to enhance the user experience. In Manual filter type, as soon as customers select options of the attributes and apply them to show the result, a loader image appears on the page while updating the search results as per applied filters, and then it disappears with the display of the customized search results. In the below image, you can see the effect and appearance of the loader image over the page. It is the default loader image, but you can add your own image by choosing the file to upload in the admin panel. This aspect is essential for most of the merchants. No one wants to deal with complicated settings before the extension reveals its functionality. As for the Amasty’s Magento 2 layered navigation module, it has quite complex settings structure. There are five tabs: General Settings, All Products, Brands, Pages, and SEO. Each tab is divided into sections. We cannot say that the Amasty’s backend is hard to master, but you have to spend some time configuring the extension. Aheadworks Layered Navigation has a more intuitive administrative interface with less complicated settings. In General Settings you can: enable/disable AJAX (enable it! 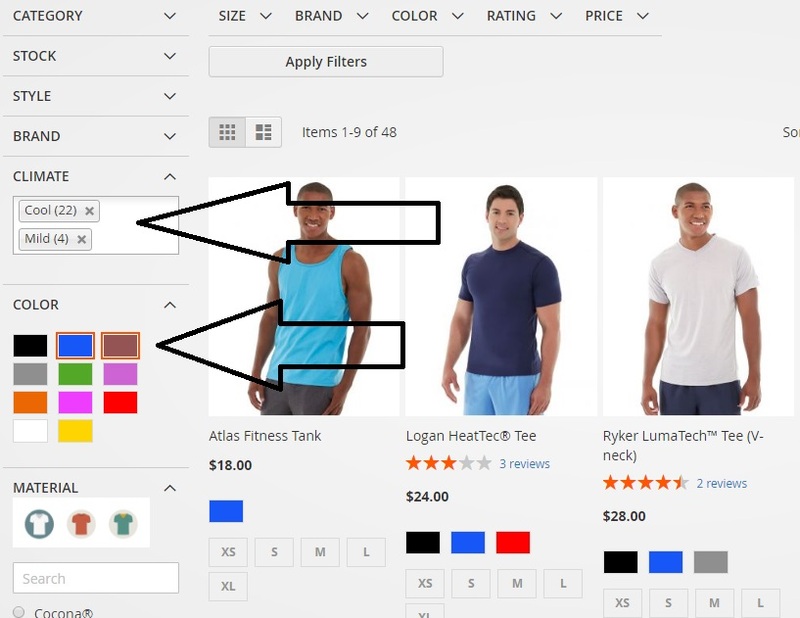 ); activate three new filters (the mentioned before In Stock, On Sale, and New); show/hide “Show X Items” popover; configure price filter options; choose default filter state; set the limit for filter values display; hide/show unavailable filters; hide/show unavailable attribute values. SEO section allows you to configure the settings for optimization of your website performance and eliminating some SEO issues. General Settings – This tab has basic settings like enabling/disabling, filter type, price slider, filter location, loader image, and error message. Filter List – This tab lets you select the attributes for a filter. Hence, you do not need to navigate to Stores → Attribute → Attribute Set to do this. Rating Filter – This tab has simple enable/disable setting and a text box to enter label name. Stock Filter – Same as above. Now, let’s compare price tags of all the three Magento 2 layered navigation plugins. You can purchase the Amasty Improved Layered Navigation Magento 2 extension for $339, Aheadworks – for $249, and M-Connect Ajax Layered Navigation – for $159. So, regarding the price, M-Connect is the cheapest. Have a look at the comparison table below to check which features of your interest are covered in the considered extensions. Although the Aheadworks Layered Navigation provides fewer features than the Amasty module, we still recommend using this Magento 2 module in case you need a reliable tool that will improve the default drawbacks of Magento 2 right after the installation. As for the Amasty Improved Layered Navigation Magento 2 plugin, it is great if you need more advanced features and ready to master a quite complicated backend. The extension will fully satisfy your needs if you only need to fix the default problems related to the Magento 2 layered navigation. At the same time, both Amasty and Aheadworks extensions are quite high in price. 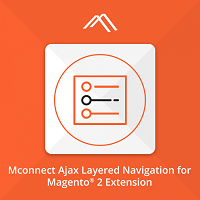 So, if you want to improve the layered navigation of your Magento 2 store on a tight budget, then M-Connect is the perfect solution for you. It provides all the necessary features for AJAX based layered navigation.